A man and his son are dead after plummeting from a Manhattan building on Sunday. Dmitriy Kanarikov, 35, of Brooklyn was supposed to hand over his 4-year old son to his estranged wife at a Manhattan precinct amid a bitter custody dispute between the couple, sources said. 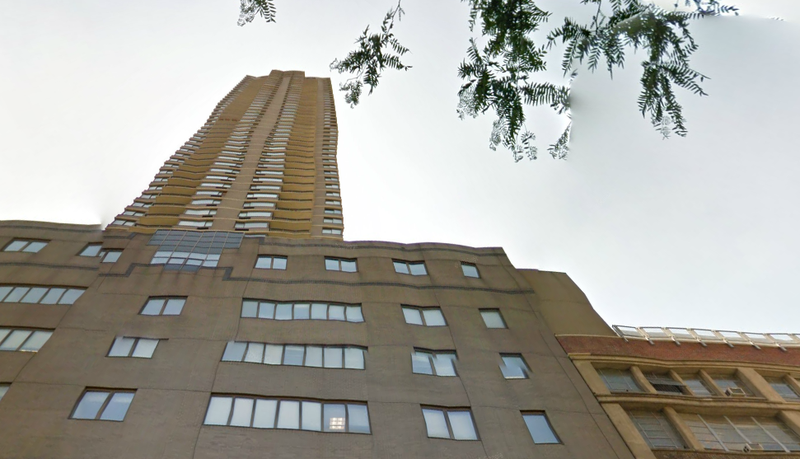 Instead, the systems developer went to the top of the South Park Tower, across from St. Luke's Roosevelt Hospital on West 60th Street, with his son, Kirill, and pitched the boy to his death before making his own fatal leap. The father, whose body landed at John Jay College next to the building from where he jumped, was pronounced dead at the scene. The toddler was taken to a local hospital but died as a result of his injuries. At this time, police will not confirm if the incident is an accident or a murder-suicide.